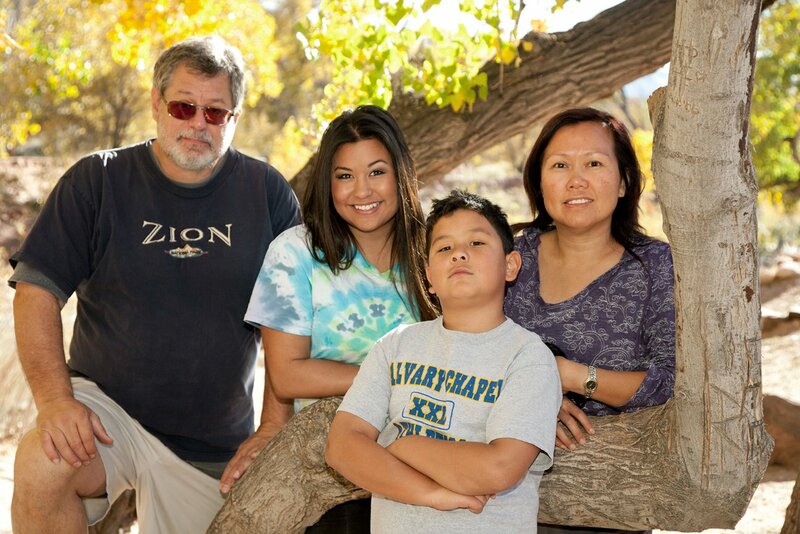 This is my family at a favorite place of ours Zion National Park. I have been married 22 years to My lovely wife Germaine and these are our two kids. I have been doing full time Photography In Las Vegas for over 17 years and enjoy it every bit as much today as when I started– maybe more! Being able to do What I absolutely Love is such a blessing from God. I never take that fact for granted and I strive to do my best for everyone one my clients. Meeting people from all over the world and spending a short but sweet time together creating exception al and unique photos for them and me is an absolute joy.